Walter Percy Chrysler never went to college, instead learning engineering on the job at a locomotive company. After working his way up the ladder for 20 years, Chrysler was persuaded to enter the car business and manage GM’s Buick plant. He was 36. After modernizing Buick’s manufacturing and tripling production, Chrysler resigned and soon took control of both Willys-Overland and the Maxwell Motor Company. 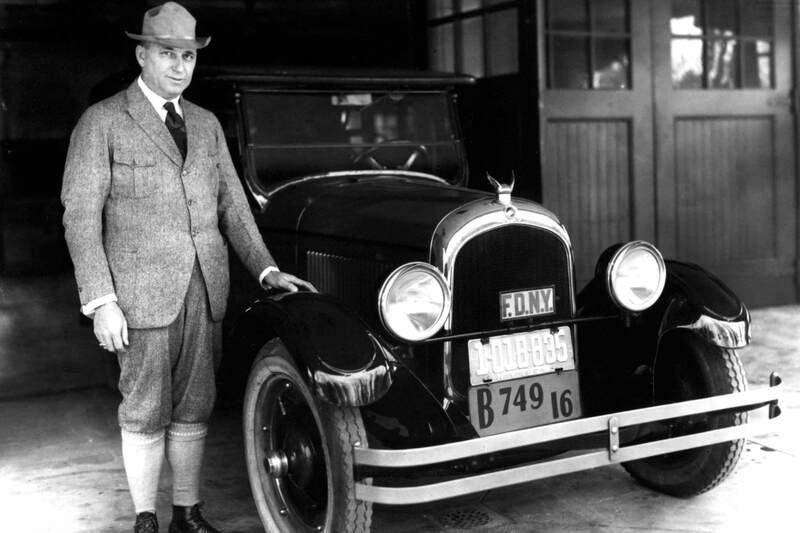 Maxwell was failing, but Chrysler introduced a revolutionary new model in 1924 that saved the company and created the Chrysler Corporation. 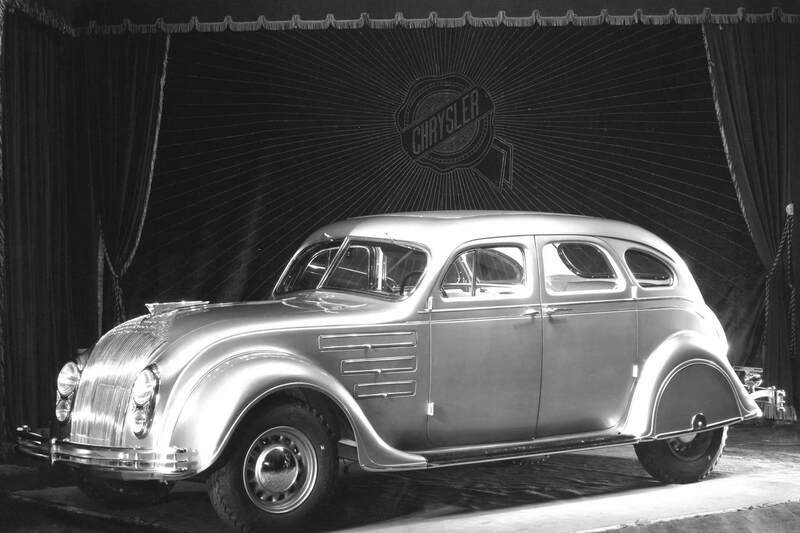 Over the next nearly 100 years, Chrysler created numerous models that disrupted the industry. Other manufacturers have often been forced to imitate rather than innovate to compete. While the Corporation has many marques, the Chrysler automobiles have stories all their own that carry the spirit of Walter P. in their bones. These are the 10 most important Chryslers to the brand. 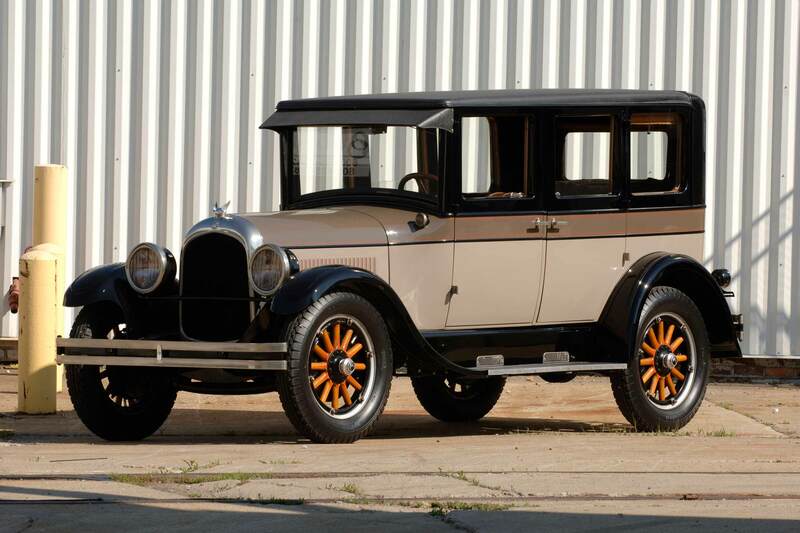 Chrysler introduced the Chrysler Six at the New York Auto Show in 1924. A product of brilliant cost-cutting, the Six had the advanced engineering and luxury features that the public wanted, and at a price most people could afford. A powerful, high-compression six-cylinder engine could carry the car to 70 mph, unbelievably fast for the day. There were also had innovations like four-wheel hydraulic brakes and an instrument panel instead of individual gauges. The stylish and roomy Six was an instant hit, so much so that parent company Maxwell was reorganized into the Chrysler Corporation in 1925. As automotive engineering evolved, Chrysler’s R&D department realized that the design of the vehicle wasn’t keeping pace. Top speeds of many models was now over 80 mph and aerodynamics were increasingly important. Wind tunnel testing showed that many cars of the early 1930s had more favourable aero going backwards. Airflow designs were tested in a wind tunnel like airplanes of the day. The front was rounded to ease through the air, and the rear was tapered to reduce drag. The chassis borrowed from airplane design, too. The engine was moved forward over the axle, improving handling and ride. This allowed the passenger compartment to be moved forward off the rear axle, greatly reducing vibration and harshness. 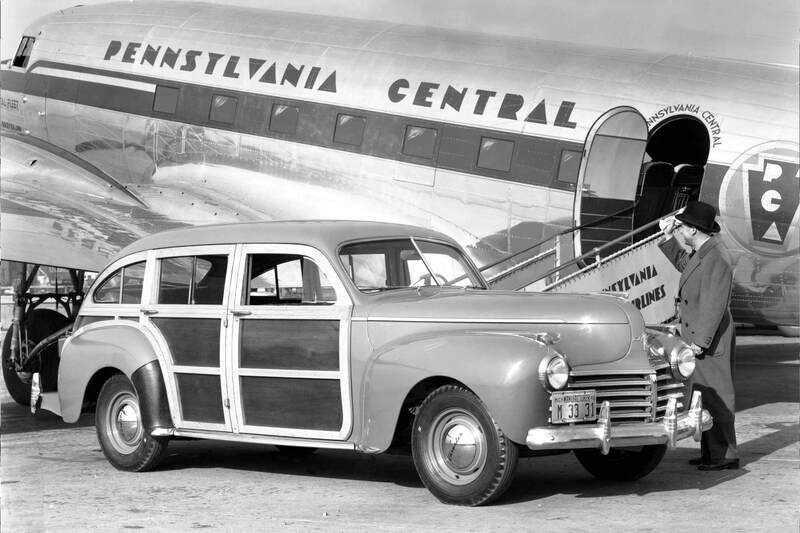 The semi-unibody, all-steel construction was stiffer than conventional wooden body frames, which allowed the cabin to be wider and roomier all around. The Airflow was not a sales success, but it has proven itself to be a milestone of automotive progress. The beautiful Chrysler Town & Country was a far cry above the average grocery-getting station wagon. It was an expensive, upscale car only affordable to the wealthiest Americans, and helped to define Chrysler as a luxury brand. The seats were upholstered in the finest leather, accented by more hand-finished wood. The rear bench could be moved forward to increase cargo room, or moved back for more comfort. 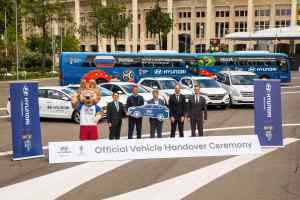 The car could be ordered in six- or nine-passenger configurations. Very few were built, only around 1,000. Exceptional examples today routinely sell for over $300,000, with extraordinary models topping $500,000. 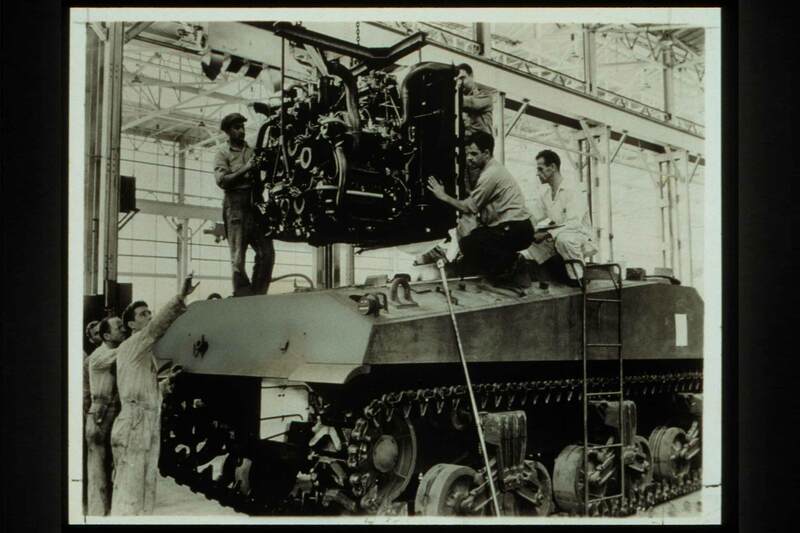 With the onset of World War II, production turned from civilian automobiles to the equipment and vehicles needed to the fight the Axis. Chrysler’s contribution was vastly diverse: tanks, trucks, ammunition, cooking stoves, radar systems, airframes, marine tugs, and air-raid sirens, to name but a few. The Chrysler Tank Arsenal turned out 3,352 M3 tanks, over the half the wartime total, and 17,947 M4 Sherman tanks of 49,234 built. By the end of the war, Chrysler had produced over 22,000 units of all series, and voluntarily gave up all profits. The company used its engineering expertise to improve antiaircraft guns and their radar guidance systems, and manufacturing expertise to simplify construction. Estimated costs were greatly reduced, enabling scarce war dollars to buy more systems. In just one deployment, these defenses saved untold thousand of lives by destroying V2 rockets before they landed on crowded London. Chrysler even designed better and cheaper uranium processing equipment for the Manhattan Project, and built some of the parts for the Enola Gay, the B-29 that delivered the first nuclear bomb. 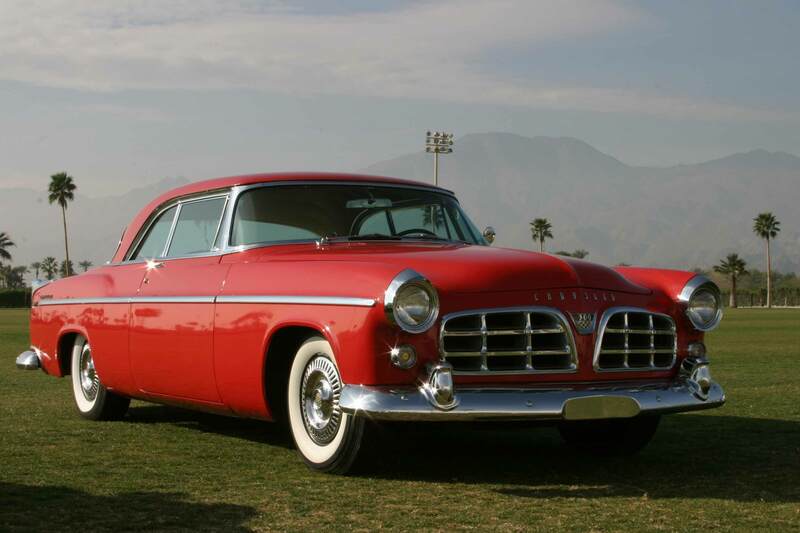 Chrysler “Letter Cars” are known for bringing power to the luxury game, and the first of these was the 1955 C-300. It made 300 horsepower from its 331-cid hemi engine, a revolutionary number at the time. The 300 was the first mass market vehicle to have so much grunt under the hood, and it would take two years for other manufacturers to catch up. The 300 was fast: it set a two-way flying time at Daytona of 127.6 mph, with an estimated top speed of 130. Stock car drivers noticed, and the 300 dominated the Grand National series (now NASCAR), winning 27 races. From 1956 to 1965, a letter car was released every year. 1956 saw the 300B, 1957 saw the 300C, and so on until the 1965 300L (the letter “I” was skipped). Horsepower peaked at 400, a special option for 1960. Chrysler’s famous performance model is still available today as the 300S. The impossibly long and low 1960 Windsor owes much to the Forward Look styling introduced by Chrysler design exec Virgil Exner in the mid-1950s, but even more to do with what’s underneath the skin. For 1960, Chrysler introduced unibody construction. The company changed most of its high volume models from the outdated body-on-frame method to unibody at the same time. The engineers had realized that the outer body sheetmetal did not have to be part of the rigid structure that makes up the main strength of the car, simplifying construction. Because of previous military work in electronics, like radar systems, Chrysler was computer savvy and the new models were designed with the help of computers, the first company of its size to do so. The new models were lighter and handled better. Performance, efficiency, and safety were all improved. Not needing a frame to be bolted on to, the bodies sat lower, improving the looks and unifying design and engineering. Before the LeBaron and its K-Car cronies arrived on the scene at the start of the 1980s, Chrysler faced certain death. The 1970s had been murderous, with three recessions, two oil crises and the resulting high gas prices, new governmental fuel efficiency and environmental regulations, and low sales. Chrysler simply didn’t have the cars customers wanted to buy, and no money to invest in new designs. The company survived thanks to a $1.5 billion government bailout in late 1979. 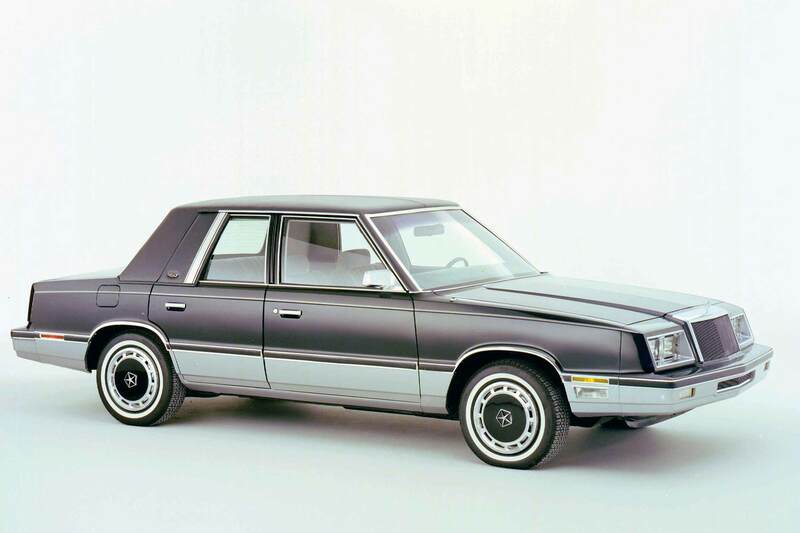 The new K-Cars debuted for 1981 in Chrysler Corporation’s Dodge and Plymouth lines, based upon a common K-platform that could be used across multiple brands and models. A common platform meant that many parts were interchangeable, reducing the variety needed and saving the company money. 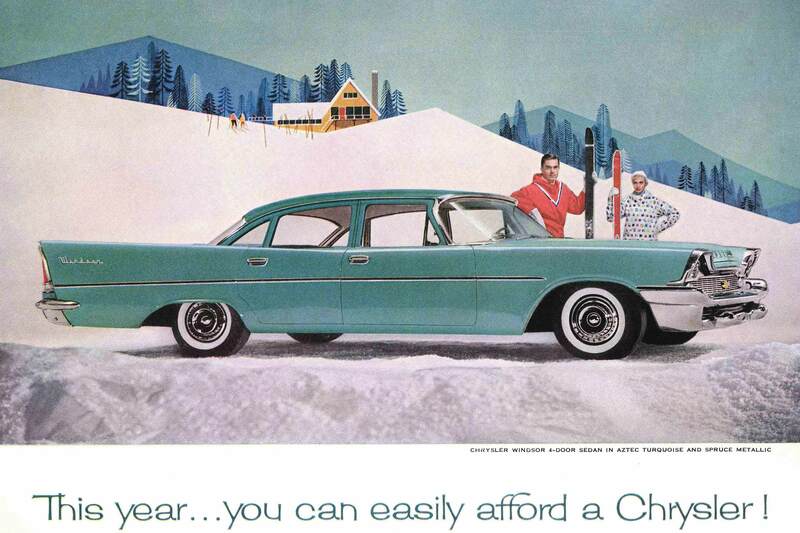 Chrysler in turn passed the savings onto customers, and the K-platform was a huge success. The LeBaron debuted for 1982, taking the platform upscale. By the end of 1983, cost-saving K-platform vehicles made up around 50 percent of Chrysler’s profits. With its success, the company was able to repay its government debt several years ahead of schedule. The government realized a $350 million profit on the deal. 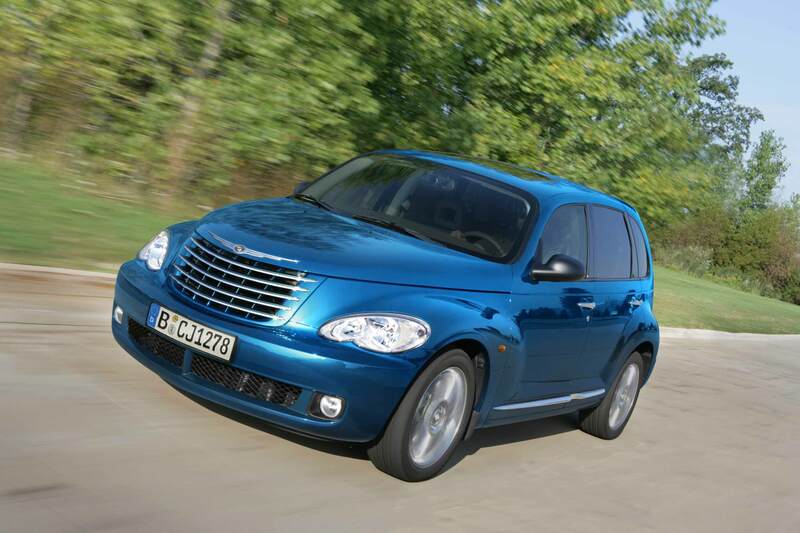 The PT Cruiser brought fun, retro styling to Chrysler in 2001. More importantly, its bold, decisive design brought an identity to the brand for a new millennium. Initially conceived as a Plymouth model, the PT drew heavily on the 1934 Airflow for inspiration. With Plymouth’s end evident, the funky hatchback was branded a Chrysler. The five-door was a surprise hit, and won Motor Trend’s coveted Car of the Year award. Chrysler couldn’t keep up with orders, and asked company executives who had leased the vehicle to give them up to dealers to help meet demand. Over 1.3 million units were sold before the model’s demise in 2010. The success of the PT arguably proved that strong design was in Chrysler’s DNA. The company moved ahead to release the exotic Crossfire for 2004 and the brutish 300 for 2005. Like the PT Cruiser before it, the all-new 300C for 2005 was a nod to the past with an eye on the future. The name was the same as the wildly powerful 1957 model, as was the egg-crate grille. But while the design was as bold as Virgil Exner’s Forward Look for 1957, it was thoroughly modern. The high beltline made the sedan look sturdy as a bank vault. The aggressive headlight surrounds and crisp creases on the hood made it look mean. Under the hood lived a 5.7-liter hemi V8, producing 340 horsepower and sending 390 lb-ft of tire-shredding torque to the rear wheels. Yet the engineers included cylinder deactivation technology, allowing the car to run on four cylinder for better fuel economy. 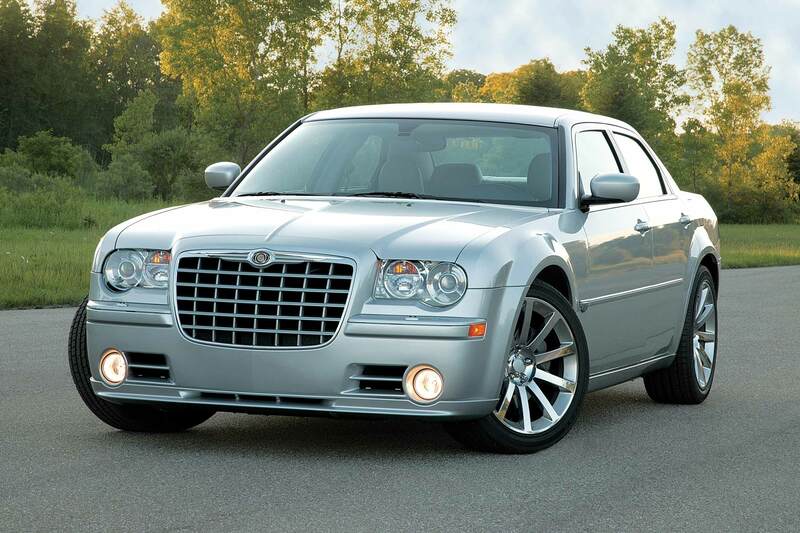 For buyers wanting more cowbell, there was the 300C SRT-8. With 6.1 liters of V8 producing 425 horsepower, the zero-60 sprint took less than five seconds. After hiding through the financial disaster of the Seventies and the economizing of the Eighties, Chrysler muscle was back. 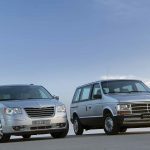 The Chrysler Corporation disrupted the automotive industry in 1984 with the release of the minivan, a revolutionary design (incidentally based on the K-platform) that other manufactures had no choice but to imitate. The Pacifica debuted in 2017 as a replacement for the aging Town & Country, and was a breath of fresh air in a segment that already had excellent vehicles from Honda and Toyota. The new minivan had an airy interior with a thoughtful design that maximized useful space. There were large storage bins for cargo that the seats could fold into for a perfectly flat load floor. There was plenty of available entertainment for the kids, the latest infotainment technologies for the parents, and active safety for all. It had a powerful V6, great fuel economy, and was reasonably fun to drive. There was even a plug-in hybrid version for even greater efficiency around town. 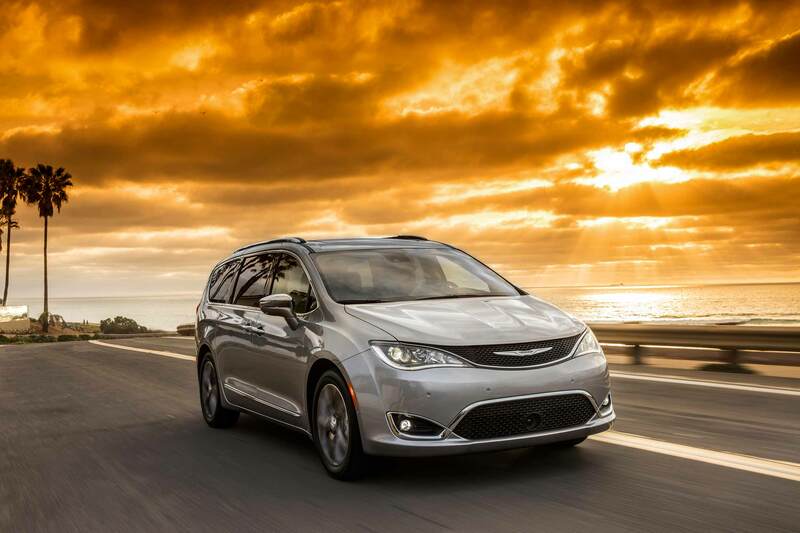 With the Pacifica, Chrysler asserted itself as a leader once again. It created a product that is the new definition of the segment, and forced other manufacturers to follow suit or fall behind. The Pacifica is, of course, still available. Hopefully, buyers will continue to see more great vehicles from the historic brand.